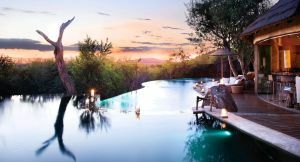 Travel to Madikwe Game Reserve for a malaria-free safari as appealing to honeymooners as it is to families and adventure-seekers. Lying on the edge of the Kalahari, Madikwe is a privately-owned conservation success story and has earned an international reputation for its wildlife. It is home to the Big 5 as well as some of Africa’s rarest predators – wild dog, brown hyena and cheetah. There’s a wide range of accommodation to choose from on your Madikwe safari. Several of its lodges are among the luxurious in South Africa. Others have been designed with romance in mind or for families with young children. There are fully-serviced, exclusive-use villas with private guides and in-house chefs as well as value-for-money lodges where you won’t miss out on an afternoon by the pool. Game drives are the main activity in this open savannah landscape. 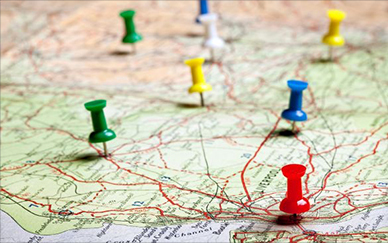 You’ll head out on early morning and late afternoon drives with your guide. Sightings of the Big 5 – lion, elephant, rhino, buffalo and leopard – are usually the focus but a Madikwe safari is home to desert wildlife too. Rapier-horned gemsbok graze next to herds of springbok, and the reserve is also great destination for the Kalahari’s smaller and seldom-seen creatures such as foxes, wild cat and porcupine. 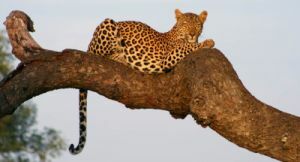 A Madikwe safari is best enjoyed as part of a more extensive South Africa holiday. The reserve combines easily with close-by Sun City, the country’s most extraordinary holiday resort. At Sun City, guests can tee off on championship golf courses, go hot-air ballooning and enjoy all the thrills and considerable spills of a mega water world. It’s a family’s playground but also great for couples and sports enthusiasts too. Pilanesberg Game Reserve lies next door, offering a different take on your safari. You could also finish with a grand flourish on the fashionable beaches of Cape Town or those of the tropical Indian Ocean. 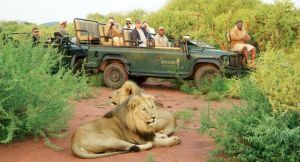 Madikwe game Reserve is a 3.5 hour overland transfer to Johannesburg’s O R Tambo International Airport, travel hub for the entire region. Talk to us and we’ll make it happen. Morning & afternoon game drives are the best way to see Madikwe’s wildlife. You’ll enjoy expert guiding & the advantage of off-road driving for extra-close up photographic opportunities. Lion, leopard, rhino, elephant & buffalo are Africa’s most sought-after sightings; all are resident at Madikwe, making it one of the best places to see the Big 5 in a malaria-free environment. Worried about kids being bored on safari? Unsure about malaria? Madikwe is not just malaria-free but many of its camps offer kids safari programmes, child minders & plenty of fun activities. 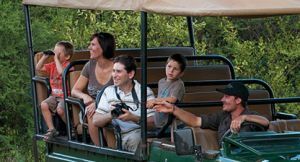 Madikwe’s exclusive-use villas are perfect for multi-generational families & groups of friends; you’ll enjoy private guiding, your own chef & a safari schedule built around your needs. 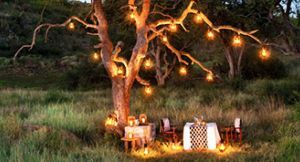 Classic African landscapes, starry night skies & idyllic accommodation make Madikwe a memorable honeymoon destination. Couples enjoy private dining, indulgent pampering & discreet service. 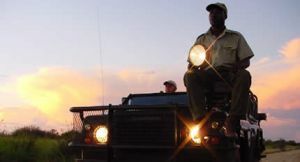 Spot-lit drives are the only way to see Africa’s elusive nocturnal animals & one of the best ways to see Madikwe’s leopards. Evening drives deliver all the action, returning you to camp for supper. 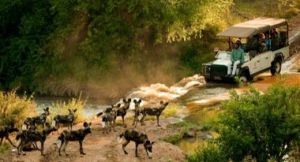 One of the world’s rarest large carnivores, the African wild dog is a Madikwe highlight. Three packs roam the reserve, giving you one of the best chances of seeing these fascinating ‘painted wolves’. Looking for a little downtime as well as a safari? Soothing spa treatments, invigorating massages & sophisticated beauty treatments are almost as famous at Madikwe as its wildlife. Experience the extraordinary! 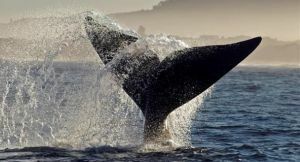 Let us tailor-make your safari to South Africa.